JC Curve – Composer, contrabass, producer. Cray K. – piano, string. Gayoung Park – keyboard, string. Kyungkyu Lee – Hang Drum, Dae-Gum, So-Gum. Young Jin Choi – Korea traditional Percussion. Duk Gyu Han – Korea traditional Percussion. The band analyzes different types of life topics including human instincts. the music is more narrative and deeper. solemn, and it turns out to be lyrical all of a sudden like a movie. Perhaps the individual skills bring the ensemble to a higher level of perfection. for Performing Arts Teenage Gukak Orchestra. He has brought up the reputation and quality of music of the orchestra. – Ahn is the best pipe player in Korea. JC Curve has gone through all genres, from jazz to the crossovers of all kinds. and performance. JC Curve is currently getting much attention from all over the world, flooded with invitations for performances and albums. and communicate with people of diversity. “Sukiyaki Meets the World” – Toyama, Japan. Hyundai Asan Invitations – Geumgangsan, North Korea. ▶JC Curve World Music Group (Leader/Producer). ▶Sejong Center for Performing Arts Teenage Gukak Orchestra / Composer. ▶TV Show “Top Band” Expert Judge / 2012. 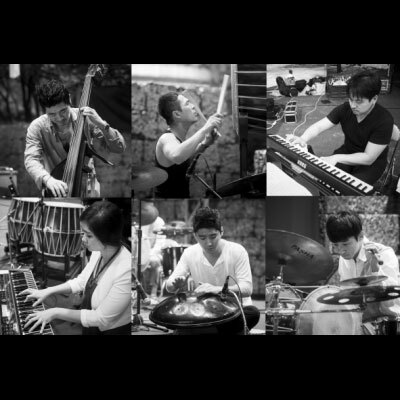 ▶World Music Ensemble E-DO (Composer / Producer). ▶Arirang Festival Music Director / 2012. ▶Ilsan GoRock Festival Official Music Composer / 2013. ▶Yamaha Artist Bass Endorser / 2013. ▶Seoul Art Market PAMS Choice Artist / 2013 . “Click into Gukak”(Composer/ Collaborate with)./2013 . ▶ANTHOGATE Corp./ Chief Producer / 2014. “Sejong Story Concert” (Composer/ Collaborate with)./ 2014. “Mysterious Teenage – Let us Dream” (Composer/ Collaborate with)./2015. ▶K-Culture Festival in Chengdu Art Director. / 2015.